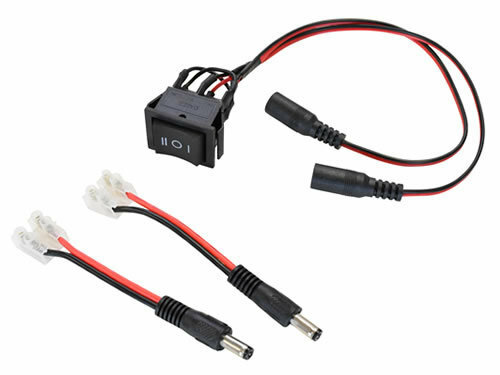 This switch harness (rocker-switch with pre-installed leads) provides an easy way of manually controlling a linear actuator or a DC (direct current) motor. 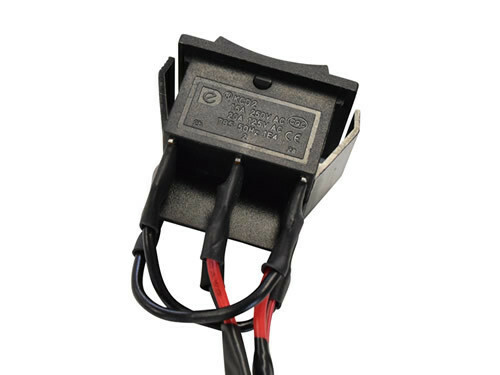 Simply plug one of the two leads into an input power supply (either a battery or AC to DC adapter) and the other lead into the actuator or motor you wish to control (up to 5A maximum continuous load). Two versions of the switch are available, one with a Latching function (when set in a direction it will stay in position until pushed the other way) and another for Momentary control (with a spring-return to the centre position when released). Two male DC (2.1 x 5.5mm) to screw-terminal connectors are included with each harness. Both the input and output leads are 280mm long and are very flexible. They have low-profile (narrow) insulation around a 20AWG (approximately 0.5mm2) conductive area. The input and output leads each end with a female 2.1mm x 5.5mm DC power connector. 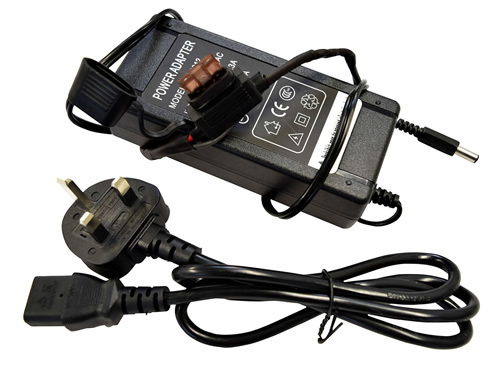 Two male DC plug to screw-terminal adapters are also included with each harness. 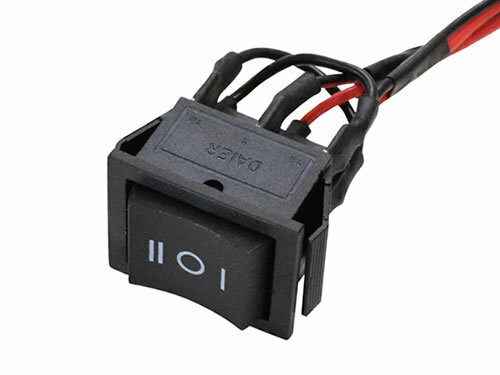 The combination of rocker switch, leads and the female connectors provides a maximum continuous current rating of 5A. 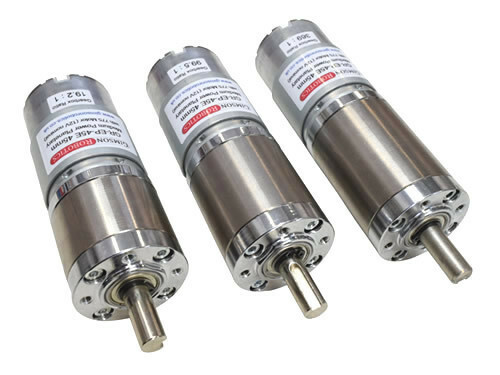 If using with a duty cycle (proportion of the time current is flowing) of less than 20% then this rating is increased to 8A, or up to 10A when operating for only up to 10s at a time (and at less than 5% duty).